Reading his granddaughter's screenplay seems to reignite embers of 95-year-old Tom’s creativity, nudging him into sharing candid glimpses of his past. At the Open City Documentary Festival on 7th September 2017. 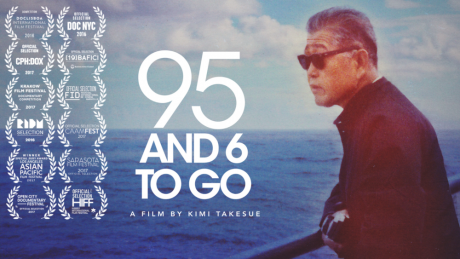 Photo: 95 and 6 To Go by Kimi Takesue.Honolulu, Hawai’i – a lone island surrounded by water seems an apt backdrop to get to know Tom Takesue, Kimi Takesue’s grandfather. At first glance, Tom Takesue seems a brusque and healthy 90-something – a recent widower, busying himself in his house and grounds, forever sorting through papers, doing press-ups; he cuts a fine figure for his age. You could almost mistake him for being no-nonsense. This all changes when Kimi, the documentary’s producer and Tom’s granddaughter, presents him with the script for her screenplay. Reading the screenplay seems to reignite the embers of Tom’s creativity and nudges him into sharing both candid glimpses of his past along with suggestions for his granddaughter’s screenplay. He later reveals a passion for short stories that he might have pursued had it not been for the onset of the Great Depression. In this documentary, brimming with affection, Kimi’s patience and persistence over six years pay off to create a beautiful home-video style tribute to her grandfather. It is in the moments of the mundanity of everyday life, whilst Tom is eating (alone), watching American football (alone), and flicking through papers (alone) that he starts to reveal parts of his personal history – a story which spans almost a century. We learn that Tom’s early life, just as his later years will come to be, was plagued by loss and loneliness. His mother died when he was two – her kimono set on fire in an accident. He was raised by his hard-working Dad and recalls, in a moment of reflection, feeling “so lonely” when the other kids he played with were called in for dinner. He studied hard at school until it became apparent that there would be no money for him to attend university, at which point he dropped out. The timing could not have been worse. The Great Depression was in full effect and it became nearly impossible for him to find employment. After many unsuccessful attempts at securing a job, Tom heard that the post office was recruiting. In order to get the job he knew that he would have to pass a weight test and he recalls with humour how before the exam he drank lots of water in order to increase his weight and pass the test – he did pass and get the job, securing his family’s future. At some point, it’s not quite clear when, Tom married, and his initial recollections of this are endearingly honest. When initially quizzed about his marriage he speaks of family pressure rather than love at first sight giving the grounds for marriage, and he candidly recalls that she was interested in “nothing”. Later on, however, when we learn that Tom was a keen dancer with a passion for the Cha Cha, he speaks of a trip to New York where he longed for his wife to be there so that they could dance together. When Tom’s daughter died in her 30s he recounts with sadness that after this his wife would not dance anymore. Permeating this documentary there is a narrative about Japanese American identity. There is the imagery of American Football, and fireworks at New Year, but also warnings against racism. Tom lived in Hawai’i during the Pacific War and remembers the racism he experienced. At one point he warns, “you think it has changed.... don’t think they accept you”. This is ultimately a documentary about absence and loneliness. But it is also an intensely moving, affectionate and at times humorous depiction of a remarkable man all filmed through a lens of kindness and love. Tom had many suggestions for the ending of Kimi’s screenplay, but he was most keen on a happy ending. We never find out whether she took his advice but he certainly got his wish for the name of the documentary in which he features.